A modern glass box extension has added an impressively bright open-plan space to Alistair and JV Russell’s Victoria terraces house. When Alistair and JV Russell’s son, Lysander, was born in 2011, they decided it was time to find a family home, and a three-storey Victorian terrace with a rear garden near Parsons Green, southwest London, fitted the bill. “Although it was very dated and hadn’t been touched for years, we could see it had potential,” explains Alistair. 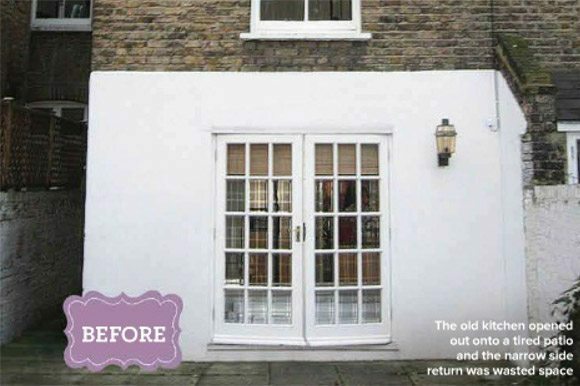 Not afraid to get stuck into some serious renovation work, the couple decided to transform the basic kitchen at the back of the house into the heart of their new home. GETTING THE DETAILS RIGHT Plus Rooms employed a specialist planning consultant to ensure no elements of the design would cause delays when submitted for planning permission, and planning was approved eight weeks later. The building work started the following month, in May 2012. The structural walls to the side and back of the existing kitchen were removed, and steelwork was fitted to support the rear of the house. A hall cupboard and downstairs loo were ripped out to turn the kitchen into one streamlined, rectangular space that stretches across the whole width of the house. How Alistair and JV gave their home real wow factor. Contemporary glass-box extensions are now a popular alternative to traditional-style conservatories, adding a stunning contrast to period homes. 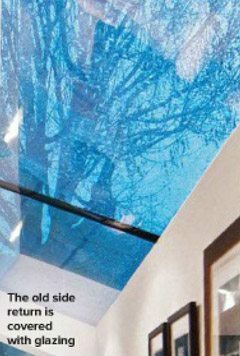 Alistair and JV’s extension was built using toughened glass from Pilkington (Pilkington.com). It has a 10 mm-thick double-glazed outer pane and a 6mm-thick inner pane, with a 16 mm argon-filled space between the two layers. Joining the roof pitches proved to be a complicated piece of engineering, as the glass meets at different angles, so glass ‘fins’ were built into the roof instead of using a traditional aluminium or UPVC framework.